Montana State University in Bozeman offers the state’s only campus-based MSN program. This program, fully accredited by the Commission on Collegiate Nursing Education, prepares students for the position of clinical nurse leader. The MSN program has been tailored towards working students, with many classes conducted primarily online. However, each fall semester begins with in-person sessions on campus. Students must complete a professional project in order to successfully graduate from the MSN program. Past projects have included construction of a school-based clinic and creation of mental health outreach programs for the rural elderly. Financial assistance is available for students through either the Nurse Faculty Loan Program or the Graduate Scholarship. 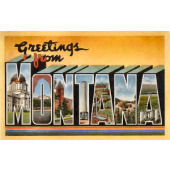 Montana’s MSN-educated nurses can pursue several specialized roles, including nurse practitioner and nurse anesthetist. The state’s nurse practitioners earn an impressive median annual salary of $88,210. Nurse anesthetists do even better, earning about $138,000 per year on average. MSN graduates have taken leadership roles with major Montana healthcare employers like St. Vincent Healthcare and Missoula Anesthesiology. We’ve included below additional information on MSN programs available to the residents of Montana.